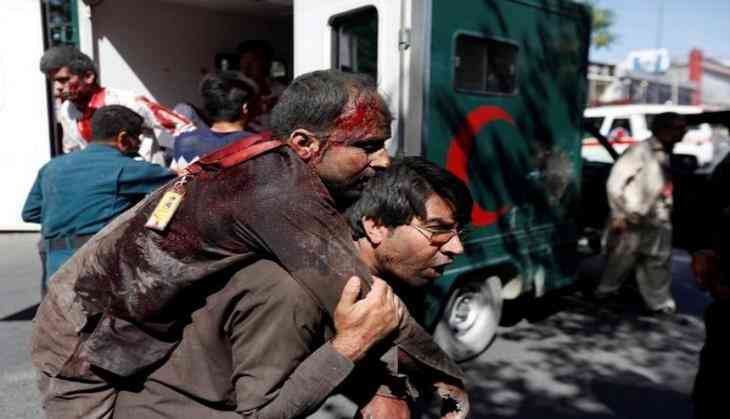 At least nine persons have been killed and over 90 wounded in massive explosion that occurred in the diplomatic enclave of Afghanistan capital Kabul on 31 may's morning. Tolo News quoted sources at the Wazir Akbar Khan Hospital, as saying earlier that two persons had died and 90 had been wounded in the blast. The Al Jazeera web site, quoting officials, reported that the suicide car bomb attack, described as "one of the biggest" to have hit the Afghan capital, has killed at least nine people and wounded 92. The Ministry of Public Health officials were quoted, as saying that more than 60 people in wounded condition had been shifted to various hospitals so far. Earlier, External Affairs Minister Sushma Swaraj said all staff at the Indian Embassy were safe and not affected by the huge blast in Kabul's diplomatic enclave.